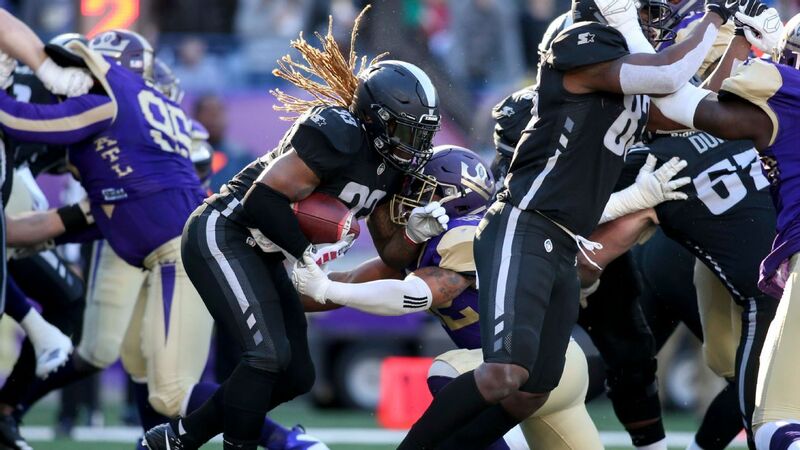 Running back Trent Richardson scored three rushing touchdowns in the Birmingham Ironman's 28-12 victory over the Atlanta Legends in the Alliance of American Football on Sunday. The No. 3 overall pick by the Cleveland Browns in the 2012 NFL draft, Richardson hasn't played in the NFL since the 2014 season for the Indianapolis Colts, who traded a first-round draft to the Browns to acquire the former Heisman finalist during the 2013 season. "Every game for me and every play is like," I really like to get this. " It's fourth-and-1 for me on every play, "Richardson told CBS Sports Network after the game. "I think about my kids when I'm on this field. If I don't get this first down, if I don't get this touchdown, I will let my team down, I most definitely will let my kids down . " Richardson gained 46 yards on 17 carries in Sunday's game for a 2.7 yards-per-average. He now has 145 yards on 59 carries in his three games for a 2.5 yards-by-carry average for the Iron, who improved to 3-0 on the season. Richardson averaged 3.3 yards-per-carry in the NFL, rushing for 2,032 yards and 17 touchdowns on 614 carries in 46 career games.